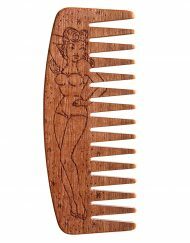 This comb’s actually pretty cool. It fits in my wallet almost like a credit card. It’s sturdy and attractive. It works well too. 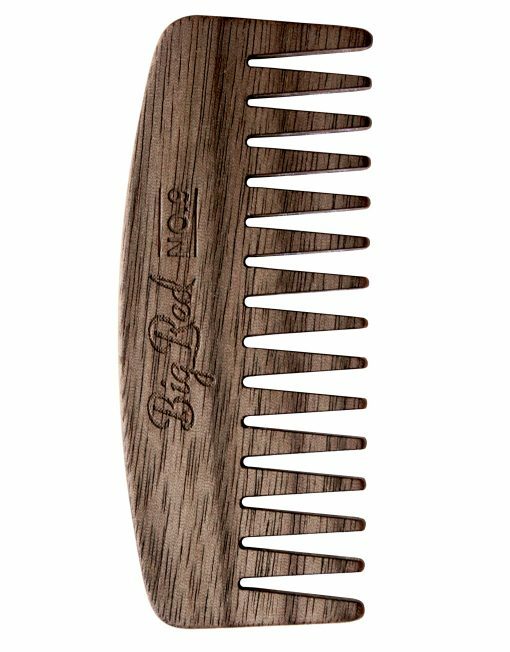 I’ve got a thick and long beard and if I’m not rushed this comb will brush my beard out real nice. Get yourself one and rock on. i’d be remiss if i didn’t mention the quality craftsmanship that is inherent in this product when you remove it from the packaging. hell, even the packaging is superb. these are details that some are loathe to miss when putting products together. looks aren’t everything, but they’re something, and it’s a great combination with the look it gives your beard when you put it to use. color me impressed. now to pick out my birthday present! After starting with the No.7 and No.5 I bought the No.9. The No.9 is by far the best if you have a longer curt beard. 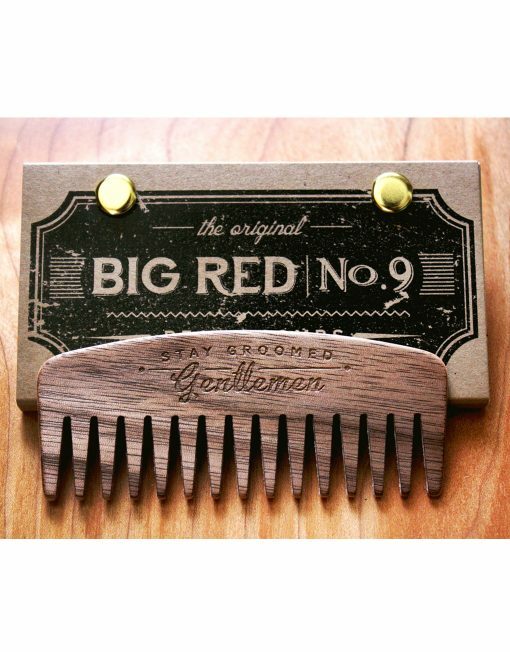 Where the others have a finer comb paternity the No.9 is more course and goes through my beard smoother, not getting snagged in knots. As always the quality of the comb and even the packaging at brbc is the best I’ve seen, I love the way all of their products look. 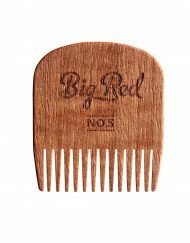 I’ve owned this comb for a few months now and it’s perfect, I keep it in the Big Red wallet, and people always tell me how cool it looks. 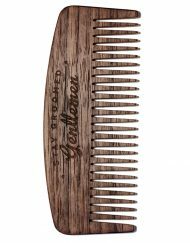 The comb is strong enough to put up with the rigours of manly life, but light enough that it’s easy to carry around and not notice it in your pocket. Cannot recommend this comb enough, the craftsmanship is beautiful. 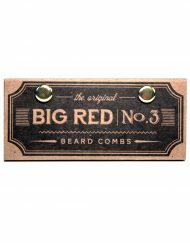 I bought this comb for my husband who has a thick,curly red beard. He LOVES it. This comb is crafted well and will last for a very long time. I have already been asked to purchase a spare to keep in his truck. 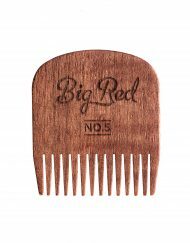 I ordered this comb after my wife ordered me a Big Red No. 5 and a Big Red Minimalist Wallet, both of which I absolutely love. The superb craftsmanship that goes into all these products is immediately apparent. The No. 5 is a little too fine-toothed for anything other than my mustache but the No. 9 is perfect. 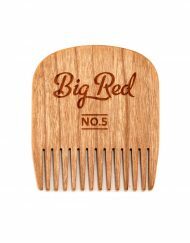 I ordered this comb after my wife purchased me a Big Red No. 5 and a Big Red Minimalist Wallet, both of which I absolutely love. The superb craftsmanship that goes into all these products is immediately apparent. The No. 5 is slightly too fine-toothed for anything other than my mustache but the No. 9 is perfect for the rest of my thick, curly beard. I carry both combs now. I can’t recommend the products that I’ve tried highly enough and I can’t wait to add to my collection in the near future. Uno de los cepillos más ligeros que he probado, parece como si no estuvieras sujetando nada, pero en el momento que hace contacto con la barba, notas que tienes el cepillo en tu poder y la barba comienza a domarse. Al ser de púas anchas es capaz de penetrar en la barba sin obstáculos y aunque su acabado entre dientes es un poco tosco, no impide que la barba vaya tomando forma. [ES] Junto con el peso el tamaño es el idea para encajar en la mano, así que cada maniobra es un movimiento preciso de lo que quieres hacer con tu barba. 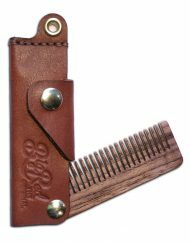 Un buen cepillo para conquistar tu barba. [EN] One of the lightest brush I’ve tried, it seems like you’re not holding anything, but at the moment it makes contact with the beard, notes you have in your power brush and beard begins to be tamed. As wide-toothed is able to penetrate unhindered beard and although his finish between teeth is a bit rough, does not prevent the beard takes shape. 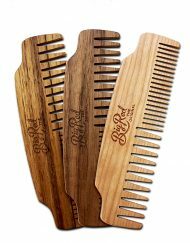 Along with the weight, size is ideal to fit in your hand, so every move is precise movement, do what you want with your beard. A good brush to conquer your beard. Love the no.9. 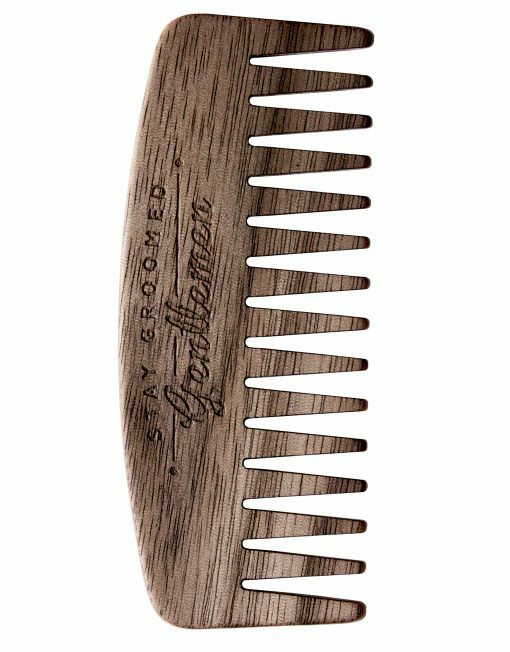 It’s one of the best beard combs I’ve used in a while. 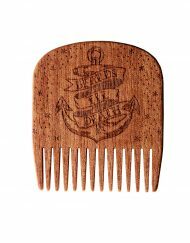 Perfect for a medium length curly beard. Spent more money on cheaper combs than I did on this one. Only regret is buying only one. 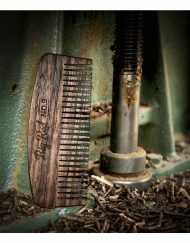 Comb is perfect for a medium to long beard. Even more so if it’s really curly. Small enough to keep in your pocket for on the run taming, yet big enough to know you’re holding a quality piece of work. Spent more money for and broke a few cheaper combs before finding my way to BRBC. My only complaint is that i only purchased one at the time. 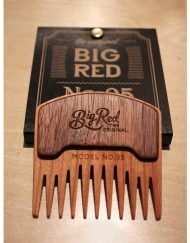 I look forward to expanding my beard care regimen with more Big Read Beard Comb products. 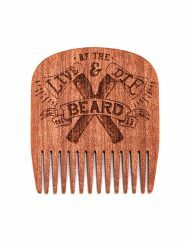 Perfect for my thick and curly beard ! I tried cheap and plastic Combs finaly NO MORE STATIC !! New and happy costumer ! 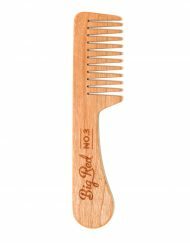 I would take one that’s even bigger… but this is a great comb. I was concerned about the durability at first, but it’s clearly well-made and I’d definitely buy again. 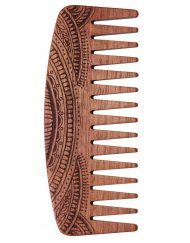 Beautifully well made comb. Perfect for my beard (long) and easy to work through my beard. Great, friendly communication and answers emails quickly. Thanks. Love my BRBC, well made product, A+! 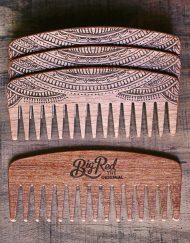 Just got the comb in today and already I am impressed, the package is beautiful and the comb it self is better than I have ever had. The combination with the beard balm Dillinger really makes my morning something to wake up for! Got my Big Red No.9 in January and never looked back. What an improvement over the cheap plastic comb I was using before! Packaging is great and I use it as a carrying case. 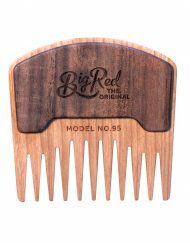 Build quality of the comb is superb. 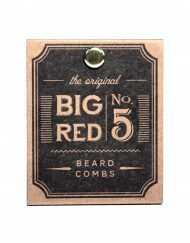 I will definitely be buying more Big Red Beard Comb products. This comb is the perfect size to take with me. It’s a little lighter than I prefer but the craftsmanship is superb. Would definitely recommend! 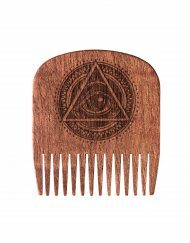 I thought it’s a little bit bigger but actually the comb has the perfect measure and its really a lightweight. It feels good in my beard. 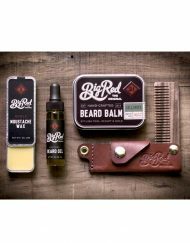 I am happy with all products from Big Red Beard. I used the no7 and no5 for about a year until i really started to grow my beard out and the fine teeth started snagging. I’ve had the no9 for about two weeks and it was a great decision to switch. 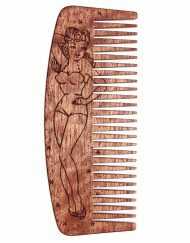 This comb is perfect! It fits in the wallet. Makes it perfect to take with you everywhere.